At just 18, his residency for Rulin' at London's Ministry of Sound marked him out as one to watch. It wasn't long before he began to come through on the early promise. Mentored by Josh Butler, his 2017 Origins EP 'Besides Me' was swiftly followed by 'Wonky', 'Strings & More' and his second Origins release 'Ciao', a run of records that soon caught the ears of Hot Creations boss Jamie Jones. 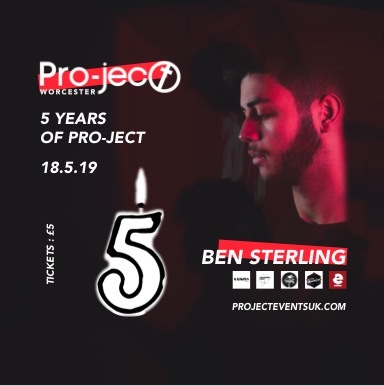 The UK legend dropped seven of Sterling's productions during a single EDC Las Vegas set, showing the same level of support at shows across Paradise, Coachella, Circoloco, Timewarp Germany and more. Jones was not the only one picking up on the youngster, as both Lee Foss and Eats Everything called on Sterling's talent, the latter remixing one of Sterling's own tracks, 'Dance Machine' (Eats Rebeef).